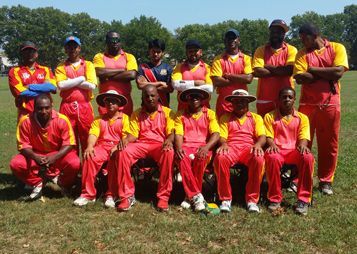 Middlesex became the last of the lot to make it to the semi-finals of the Brooklyn Cricket Leagueâs 35-over competition. The first play-off on Saturday was rained out. At that point Middlesex was 119 for 4 against Cavaliers, another Vincentian team. But when the clouds cleared on Sunday, Middlesex again batted first and made 159 for 9 in the allotted 35 overs. Mark Audain struck 36; Tyson Crawford 19 and Treldon McMillan 16 were the only scorers who reached double figures. Bowling for Cavaliers, leg-spinner Ephraim Bacchus took 2 for 20 and off spinner Ezekiel Williams 2 for 24. Cavalierâs reply offered many anxious moments, which included a 36 from Cameron Cuffy and Andrew Marshâs 27; but they fell for 150 all out, nine runs short of the target. Bowling for Middlesex, medium pacer Leon Hyde had 2 for 23, Mark Audain â 2 for 24 and leg spinner Jawanza Young â 2 for 26. The other semi-final match-up this Saturday features Queensbury, also of Vincentian origin, taking on St Lucia.